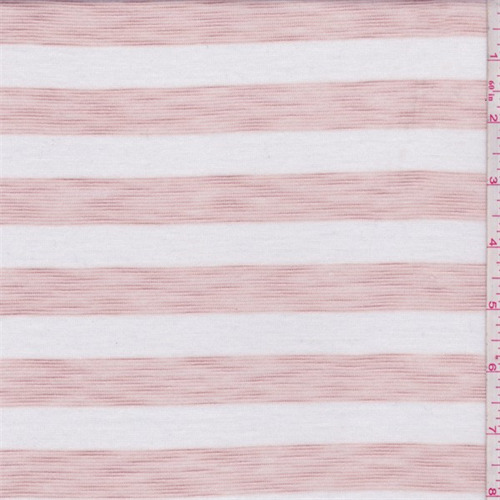 Clay pink and white 3/4" yarn dyed horizontal stripe. Lightweight (3.54 oz sq/yd) polyester and rayon blend knit with slubs. Slightly brushed surface. Good drape and moderate mechanical stretch in the width. Suitable for casual knit tops. Machine washable.